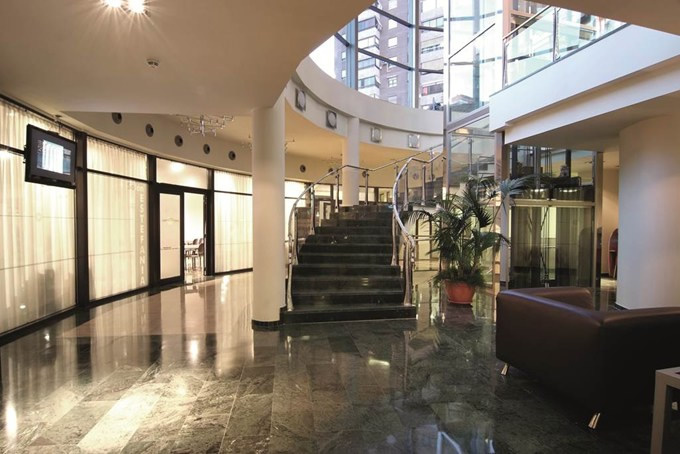 The 4 star Sandos Monaco Hotel & Spa is situated in the Old Town area of Benidorm. The resort's sandy Levante beach is just a short walk away along with all the local amenities, shops, bars and restaurants. 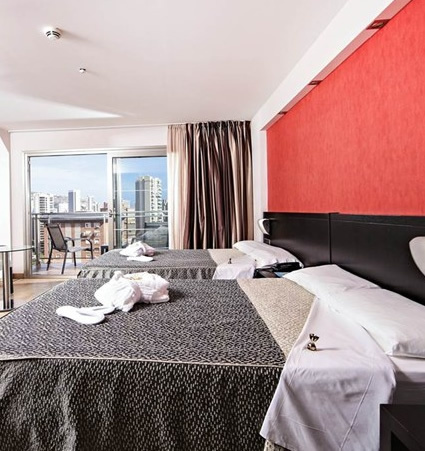 The Sandos Monaco Hotel is for adults only (minimum 17 years old) and is therefore an ideal choice for couples and groups who want to enjoy the luxury and facilities of the hotel yet be close to the the hustle and bustle of the resort. 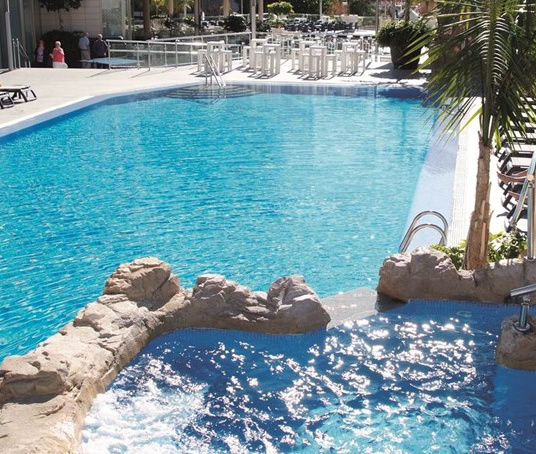 The all inclusive Sandos Monaco is located around 50 kilometres from Alicante airport. 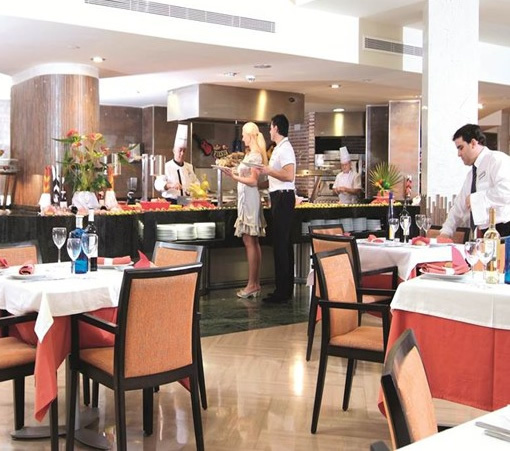 The hotel has a buffet restaurant with show cooking, lounge bar, lobby bar and a daytime pool bar. There is also a choice of all-inclusive arrangements Standard All inclusive includes: Buffet breakfast, lunch and dinner. Snacks are served at selected times between meals. There is unlimited local beer, wines, spirits and non-alcoholic drinks for minimum 12 hours per day. All Inclusive Plus The All Inclusive Plus package includes: the standard All Inclusive package plus selected international branded drinks available until 24:00/01:00. Snacks are available at selected times between meals Access to the Select lounge where snacks and drinks are available is also included. The Monaco has a variety of daytime activities including: archery, pool table, table tennis, darts, board games, aerobics, swimming pool, Jacuzzi and much more. 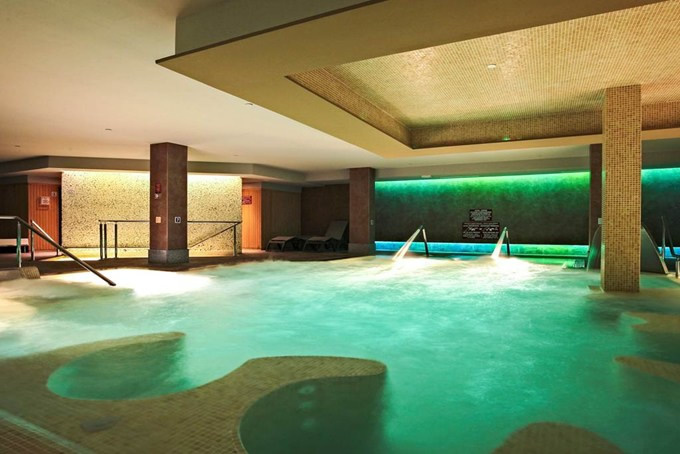 You could also visit the hotel's Spa and wellness centre, here you can relax and enjoy beauty treatments and massages. In the evenings there is also an entertainment programme, you can dance and see live music and shows. The hotel has a 24 hour reception. There is free Wi-fi in public areas, tour service, rooms adapted for wheelchair using guests (subject to availability on request), conference hall with business services/special events. It is also possible to exchange currency and rent a car (you can always pre-book your car rental before departure please ask us for a quote)!